N.C. 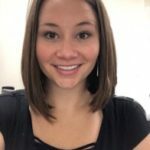 Cooperative Extension, Jackson County Center in Sylva is happy to welcome Emily McClure, who is our new Family and Consumer Sciences (FCS) County Agent. Programs that Emily will provide include non-formal education and training in human development, resource management, and supplemental nutrition assistance program (SNAP-ed) with targeted audiences. Emily will work with county and community-based organizations to deliver programs and recruit program participants. The N.C. Cooperative Extension of Jackson County FCS Agent will provide classes, workshops, training, and consultations in food safety and nutrition, health and wellness, family resource management, human development, decreasing teenage pregnancy, parenting skills, entrepreneurship, and volunteer management. The programming focus will be guided by a specialized committee consisting of local citizens called the Jackson FCS Advisory Council. Please contact FCS Agent Emily McClure at 828-586-4009 or email at ekmcclure@ncat.edu. The N.C. Cooperative Extension of Jackson County office is located at 876 Skyland Dr., Ste. 6 in Sylva.